Innovative thinking, determination, and dedication to excellence are hallmarks of our great field, and we recognize that clinician education must continually change as the needs of patients and the healthcare landscape change. In a move designed to proactively address the growing need for highly specialized, interactive, and practical education for today's endovascular and vascular specialists, HMP, a leading healthcare event and education company, today announced exciting changes to two of its flagship interventional meetings, the International Symposium on Endovascular Therapy (ISET) and the Symposium on Clinical Interventional Oncology (CIO). Beginning in 2019, ISET will shift to a four-day format and will take place January 27-30 at The Diplomat Resort, Hollywood, Florida. ISET's hallmark Live Cases, representing the practical core of the meeting, will be expanded to include an additional 90 minutes of case time. Cases will transmit from several new sites across the U.S. and around the world. Late-breaking clinical data with a focus on promising new technologies also will be featured. In response to the popularity of the "Deep Dive" sessions, the program now will feature dedicated tracks with interactive sessions woven throughout the course of the meeting. These tracks will be focused on critically relevant topics, including Peripheral Artery Disease (PAD), Critical Limb Ischemia (CLI), Complex Aortic and Iliac Interventions, Clot Management, Venous Interventions, and Embolotherapy. An enhanced program for residents and fellows with sessions tailored to their unique needs rounds out the 2019 program and reinforces the meeting's continued commitment to developing the next generation of endovascular leaders. Richard Neville, MD, Associate Director, Inova Heart and Vascular Institute; and Director, Vascular Services, Vice Chairman, Department of Surgery, Clinical Professor of Surgery, George Washington University, Inova Fairfax Medical Campus, Falls Church, Virginia. Created in 1989 by Katzen, the founder and chief medical executive of Miami Cardiac and Vascular Institute (MCVI), ISET is the premier educational forum for physicians and allied health professionals who treat patients with peripheral, cardiac, and neurovascular disease. The annual meeting, which features globally recognized faculty who are experts in their field, draws more than 800 attendees from around the world and delivers practical and hands-on education focused on the latest endovascular approaches, techniques, and technologies. "For three decades we have been providing clinicians with premier endovascular education," said Dr. Katzen. "Innovative thinking, determination, and dedication to excellence are hallmarks of our great field, and we recognize that clinician education must continually change as the needs of patients and the healthcare landscape change. Together with my fellow Course Directors, we've enhanced ISET in response to the needs of our participants, and we believe the new investments we've made and the new approaches we're taking will yield the strongest ISET program yet. We look forward to delivering relevant, real-world endovascular education with a uniquely personal and interactive approach led by globally recognized faculty to a multidisciplinary audience in 2019." Traditionally held concurrently with ISET annually in South Florida, the CIO program highlights innovative and viable treatments in interventional oncology. 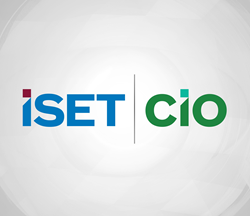 In 2019, CIO will separate from ISET to become a standalone three-day meeting that will take place October 11-13, 2019, at the Eden Roc Hotel in Miami Beach, Florida. The move reflects the ever-growing importance of interventional oncology (IO), the commitment to the practice of IO, and the increased demand for IO education. According to Dr. Peña and Dr. Gandhi, "We are extremely proud to be leading the way in this rapidly evolving field. After 11 successful years, the Course Directors have found it critical to grow the meeting in order to continue our vision of innovative and practical IO education delivered by best-in class, multidisciplinary experts in order to improve the lives of millions of patients with cancer using minimally invasive techniques. By creating a dedicated CIO event, we will have the opportunity to expand the focus on clinical content, accommodate new attendees, and continue to train the next generation of physicians in this growing field." To learn more about the ISET 2019 program, visit iset.org.